Traveller's cheque is a preprinted, fixed-amount cheque which functions almost like cash but is replaceable if damaged or lost. It is a secure method of using cash while travelling. Traveller's cheque is valid without expiry date and can be bought from issuer, the organisation that produces it; and the agent, the bank or other place that sells it; and used by people on vacation in place of money and can be encashed at locations worldwide. 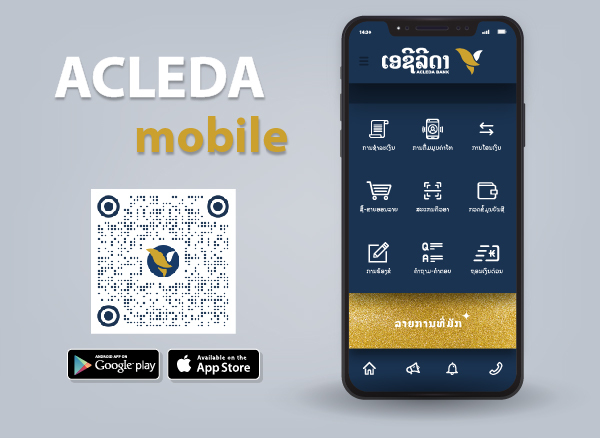 ACLEDA Bank Lao accepts all kinds of traveler's cheques in Euro and Australian Dollar. Upon obtaining custody of a purchased supply of traveller's cheques, the purchaser should immediately write his signature once upon each cheque. When wanting to cash a traveller's cheque, the purchaser should, in the present of the payee/agent, countersign the cheque. The purchaser will also have received a copy of traveller's cheque buying agreement that somebody kept in a safe place other than where he carriers his cheques. The purchaser will be required to copy the serial number found on the traveller's cheques for future references in case of damaged or lost. Proper caring should be given as if the cheques were banknotes.